Philip has composed an extensive portfolio of music across film and television. He is a multi instrumentalist who works with major orchestras including the London Philharmonic, Royal Philharmonic and City of Prague Orchestra & Choir. 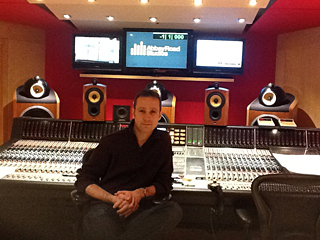 And has recorded in some of the UK & World’s most iconic studios including Abbey Road, Angel & Air Studios. His film scores include contributions to Spike Jonze OSCAR & GOLDEN GLOBE Winning film Her, 2 times GOLDEN GLOBE winner Elle, the score to Darkroom and the award winning Checking Out. He has scored BBC dramas such as The Dinner Party written and directed by Tony Grounds, the major BBC children’s drama/entertainment show Mission 2110 written by Phil Ford (Doctor Who & Torchwood), White Chameleon by the Oscar winning writer Christopher Hampton, and the BBC adaptation of Thomas Hardy’s Two on a Tower. Themes and underscore music for many major television documentaries and entertainment programmes include Revenge Body with Khloé Kardashian (E! ), The Queen Mother (Channel 4), Atlantic Convoys (Channel 4), She Wolves (BBC) and Keep Your Enemies Close (BBC1). Advertising credits include DeBeers, Nike, BT, Expedia, Sky, Heineken & award winning campaigns for Audi & Marmite With agencies including JWT, BBH, AMV, Adam & Eve & Global. Philip has worked on several major multi platform computer games for clients including the major multi-platform release Sleeping Dogs for Square Enix and further titles for Sony Entertainment & Disney. 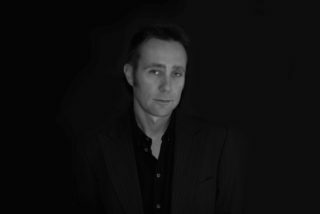 His additional credits include the acclaimed solo album Seasons released worldwide, programming and performance for bands including Westlife, Fightstar and soundtrack re-records including Avatar, Moon and Bladerunner. He also has numerous library production albums to his name which have been used in television, media and films across the globe.